Dodge Ram Repair in Truckee? We Fix and Maintain Truckee's Trucks. Quality Automotive and Smog in Truckee not only services Dodge Ram trucks, but we also drive them. Our team of auto mechanics provides auto repair to the entire line of Dodge Ram trucks and SUVs. Our diesel technician specializes in the Cummins Diesel engine, and it is his passion. We know the importance of having a truck that is reliable and performs to your expectations in our harsh mountain environment. Depend on our ServicePlus team to give you the expert service you need. 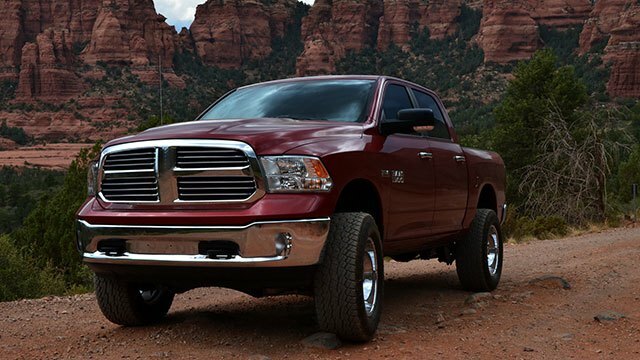 Finding a helpful service advisor, ASE-Certified expert technician, and competitive pricing are just a few things that any discerning Dodge Ram owner in Truckee wants. Our commitment to excellence and our customer loyalty are a testament that Quality Automotive and Smog is the best choice for Truckee locals. Quality Automotive and Smog suggest customers schedule their Dodge Ram vehicle recommended services in advance with our professional service advisors. Keeping up on maintenance at the correct mileage intervals is important because little signs of wear and tear can be detected and addressed before an issue develops into a major auto repair or roadside breakdown. Regular maintenance and service are even more critical for working trucks that tow trailers and are under more stress. Whether your Dodge vehicle or Ram truck needs an essential oil service or a significant repair, Quality Automotive and Smog is your Trusted Local Auto Care and a Truckee locals favorite. From simple services like a new battery or a belt replacement to more extensive diesel repairs, we are prepared to get dirty. If you wonder what our new customers think after their first visit, check out Alejandro’s 5-star review! Make a Dodge Ram-tough decision and come to Quality Automotive and Smog in Truckee. You will not find a more qualified, honest, and friendly home team auto repair shop. Whether you live in Tahoe City, North Lake Tahoe, Kings Beach, Carnelian Bay, or beyond, we are your home team for all things Dodge Ram. We are loyal to our customers and encourage you to take advantage of our ServicePlus Red Check program that includes an extended warranty, free local towing, seasonal benefits, and a dividend program. We are conveniently located at 11500 Donner Pass Rd, Unit D, Truckee, CA 96161. It’s easy to find us and easy to find a good cup of coffee, food, or a new pair of skis/bike nearby while we work on your car. In the summer, you may consider borrowing our electric bike to tour Donner Lake while you wait. Open Monday - Friday from 8:00 AM - 5:00 PM, and closed from noon to 1 PM. Request your appointment online today!